Nú standa yfir þrjár alþjóðlegar arkitektasamkeppnir í Finnlandi. Upplýsingar um samkeppnirnar er að finna hér fyrir neðan. The lakeside district of Viinikanlahti in Tampere will extend the city centre towards the south. The location and the scenery are perfect for combinations of urban housing, flexible future-oriented services and innovative green solutions. Smart urban traffic and low-carbon building solutions will be appreciated. This development project was launched as the currently operating waste water treatment plant will leave the Viinikanlahti area by 2025. The unique location is waiting for the best urban and landscape planning ideas and innovations. In the first stage, competitors are asked to design a comprehensive plan for the area on a conceptual level – a vision for the future. In the second stage, competitors must present more detailed plans as well as calculations of the ecological and economic impacts of their proposals. The City of Helsinki is organising an open international competition regarding the central quarters of Itäkeskus and Puotila. The area is a major commercial center even within the whole metropolitan area of Helsinki and a busy transportation hub for tens of thousands of daily commuters and customers. Yet something essential is missing outside the walls of the shopping enclaves and the passing trains and vehicles: urbanity and people. The aim of the competition is to provide new functions to the proximity of the public transportation hub and commercial services and turn the area from the present-day transit centre into a vibrant urban area. 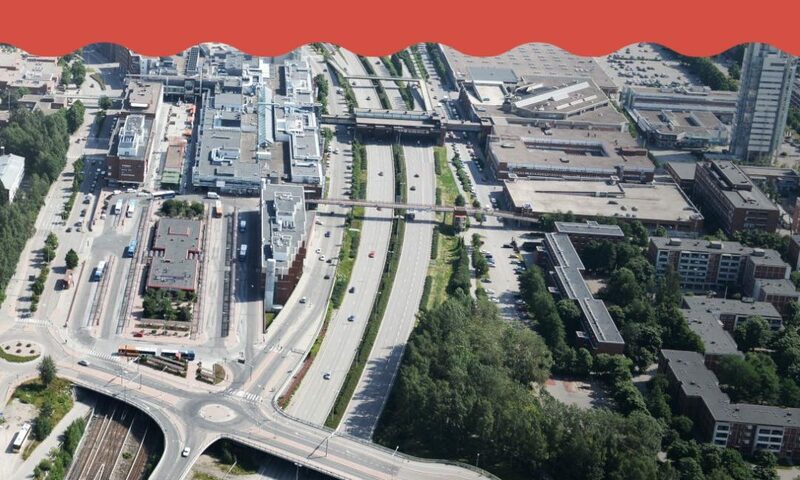 The City of Helsinki is organising an invitational competition regarding the traffic arrangements and development of the urban structure of the Junatie area. The City hopes to get new ideas on the development of a highway-like environment in the heart of the downtown area. The purpose is to examine how clearer traffic arrangements and better connections for pedestrians, cyclists and public transport can help create a top-quality urban space, without weakening the capacity of the street network in the area. At the same time, the City wants to map the potential for infill building around Junatie. The teams must consist of at least a traffic planner, an architect and a landscape architect. Of the teams who have registered by the deadline and fulfil the eligibility requirements, five teams will be selected for the competition through a draw.